Date and Time Thu, August 22, 2019 11:00 AM – 1:00 PM PDT Location American Lake Conference Center 8085 NCO Beach Rd Mchord, WA 98433 We love helping our veterans to find employment opportunities after transitioning from the military, as well as their spouses. Event highlights: Opportunity to meet face-to-face with local and national employers Onsite Interviews Network with key community resource providers Learn about military family benefits and more! Dress for success & bring plenty of resumes! VETERANS AND TRANSITIONING SERVICE MEMBERS ENCOURAGED TO ATTEND AGENDA: 10 AM Check-in begins 11 AM Doors open/ Opening remarks 1 PM Event concludes FREE ADMISSION: Open to ALL branches of service active duty, reservists, veterans, family members and DoD employees. Date and Time Thu, August 29, 2019 11:00 AM – 1:30 PM EDT Location Building #18402 19th St. Fort Gordon, GA 30905 We love helping our veterans to find employment opportunities after transitioning from the military, as well as their spouses. Event highlights: Opportunity to meet face-to-face with local and national employers Onsite Interviews Network with key community resource providers Learn about military family benefits and more! Dress for success & bring plenty of resumes! VETERANS AND TRANSITIONING SERVICE MEMBERS ENCOURAGED TO ATTEND AGENDA: 10 AM Check-in begins 11 AM Doors open/ Opening remarks 1 PM Event concludes FREE ADMISSION: Open to ALL branches of service active duty, reservists, veterans, family members and DoD employees. Club Stewart, 1020 Hero Rd. 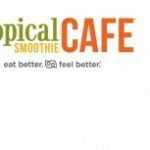 Date and Time Thu, September 12, 2019 11:00 AM – 1:30 PM EDT Location Club Stewart 1020 Hero Rd. Fort Stewart, GA 31314 We love helping our veterans to find employment opportunities after transitioning from the military, as well as their spouses. Event highlights: Opportunity to meet face-to-face with local and national employers Onsite Interviews Network with key community resource providers Learn about military family benefits and more! Dress for success & bring plenty of resumes! VETERANS AND TRANSITIONING SERVICE MEMBERS ENCOURAGED TO ATTEND AGENDA: 10 AM Check-in begins 11 AM Doors open/ Opening remarks 1 PM Event concludes FREE ADMISSION: Open to ALL branches of service active duty, reservists, veterans, family members and DoD employees. Date and Time Thu, October 10, 2019 11:00 AM – 1:00 PM PDT Location Delta Breeze Club 400 Windward Dr Travis, CA 94535 We love helping our veterans to find employment opportunities after transitioning from the military, as well as their spouses. Event highlights: Opportunity to meet face-to-face with local and national employers Onsite Interviews Network with key community resource providers Learn about military family benefits and more! Dress for success & bring plenty of resumes! VETERANS AND TRANSITIONING SERVICE MEMBERS ENCOURAGED TO ATTEND AGENDA: 10 AM Check-in begins 11 AM Doors open/ Opening remarks 1 PM Event concludes FREE ADMISSION: Open to ALL branches of service active duty, reservists, veterans, family members and DoD employees. Date and Time Fri, October 18, 2019 11:00 AM – 1:00 PM PDT Location Anchors Catering 2375 4th St. San Diego, CA 92136 San Diego, CA 92136 We love helping our veterans to find employment opportunities after transitioning from the military, as well as their spouses. Event highlights: Opportunity to meet face-to-face with local and national employers Onsite Interviews Network with key community resource providers Learn about military family benefits and more! Dress for success & bring plenty of resumes! VETERANS AND TRANSITIONING SERVICE MEMBERS ENCOURAGED TO ATTEND AGENDA: 10 AM Check-in begins 11 AM Doors open/ Opening remarks 1:00 PM Event concludes FREE ADMISSION: Open to ALL branches of service active duty, reservists, veterans, family members and DoD employees. Date and Time Thu, November 7, 2019 11:00 AM – 1:00 PM PST Location American Lake Conference Center 8085 NCO Beach Rd Joint Base Lewis-McChord, WA 98433 We love helping our veterans to find employment opportunities after transitioning from the military, as well as their spouses. Event highlights: Opportunity to meet face-to-face with local and national employers Onsite Interviews Network with key community resource providers Learn about military family benefits and more! Dress for success & bring plenty of resumes! VETERANS AND TRANSITIONING SERVICE MEMBERS ENCOURAGED TO ATTEND AGENDA: 10 AM Check-in begins 11 AM Doors open/ Opening remarks 1 PM Event concludes FREE ADMISSION: Open to ALL branches of service active duty, reservists, veterans, family members and DoD employees. Date and Time Thu, December 5, 2019 11:00 AM – 1:00 PM CST Location Sam Houston Community Center Chaffee Road San Antonio, TX 78234 We love helping our veterans to find employment opportunities after transitioning from the military, as well as their spouses. Event highlights: Opportunity to meet face-to-face with local and national employers Onsite Interviews Network with key community resource providers Learn about military family benefits and more! Dress for success & bring plenty of resumes! VETERANS AND TRANSITIONING SERVICE MEMBERS ENCOURAGED TO ATTEND AGENDA: 10 AM Check-in begins 11 AM Doors open/ Opening remarks 1 PM Event concludes FREE ADMISSION: Open to ALL branches of service active duty, reservists, veterans, family members and DoD employees.